This is the ‘front view’ of the half bottle I altered in the last post. 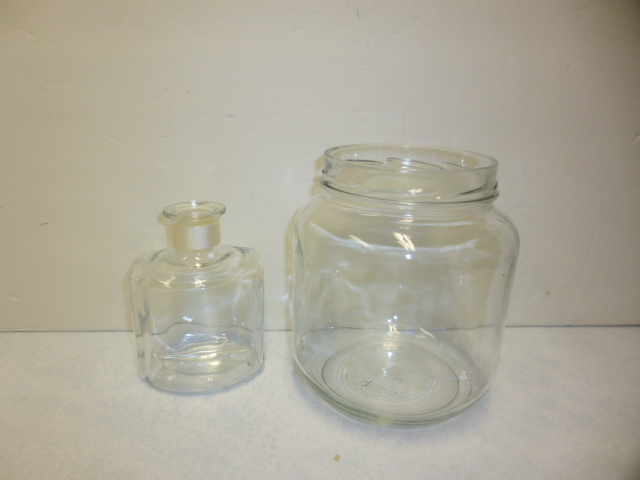 I wanted to show you how BIG the jar for today’s project is by comparison. It’s a nice BIG half-gallon jar. I LOVE the big gallon size ‘restaurant pickle jars’. Like to paint the lids and use them as canisters. 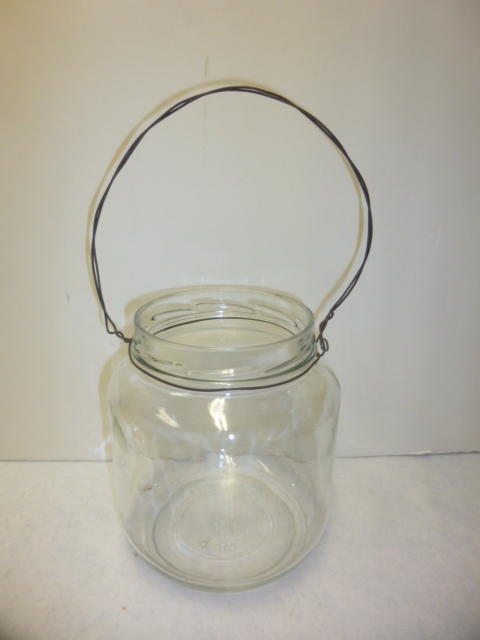 Was thinking that I might find ‘just a lid’ some day for this half-gallon jar, OR convince myself to sacrifice one from a gallon jar for it. THEN, I had this idea! 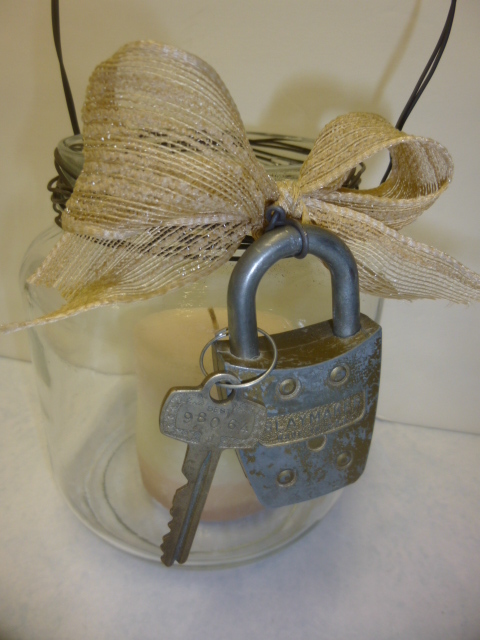 Add a wire handle and make it into a candle lantern! I’ve seen this idea used on baby food jars with battery operated tea lights, hanging in trees for outdoor party decor. And done with pint and quart size canning jars. 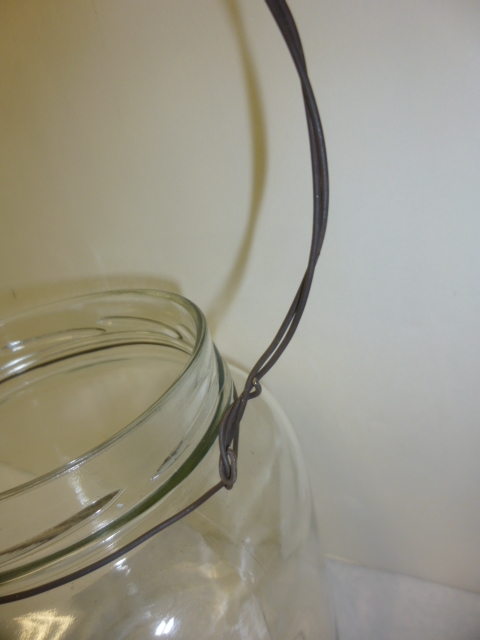 You can ever BUY the canning jars with the wire handles already on them! I wired my own. 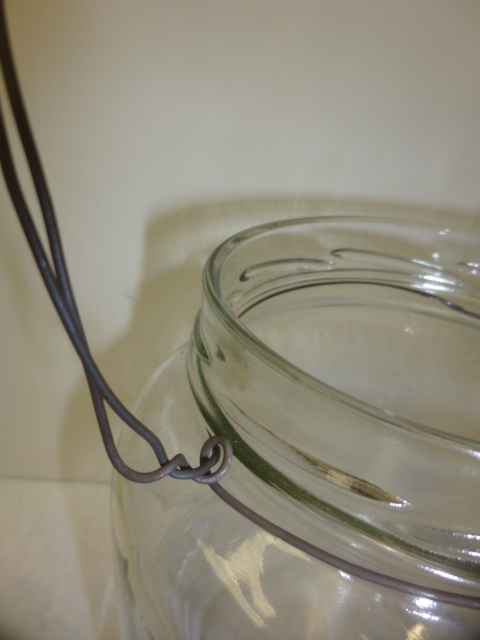 YOU just have to be sure your wire is SNUG, and below you lid ridges. 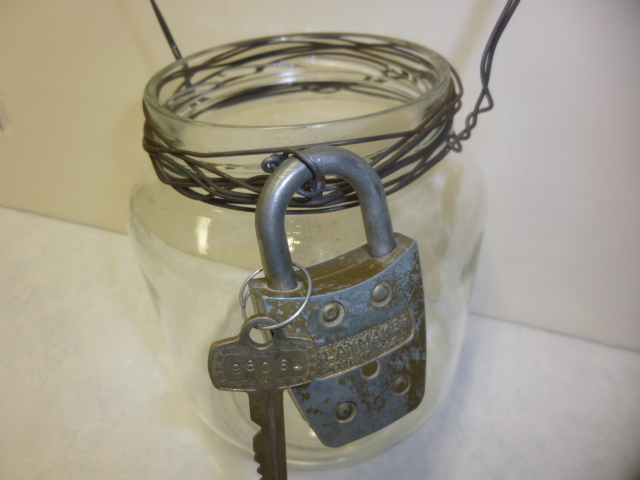 It needed ‘something more’ than just the wire handle, so I attached an old padlock and key. And I always put candles in anything that is supposed to hold a candle before I put it out for sale. And a burlap bow for good measure! 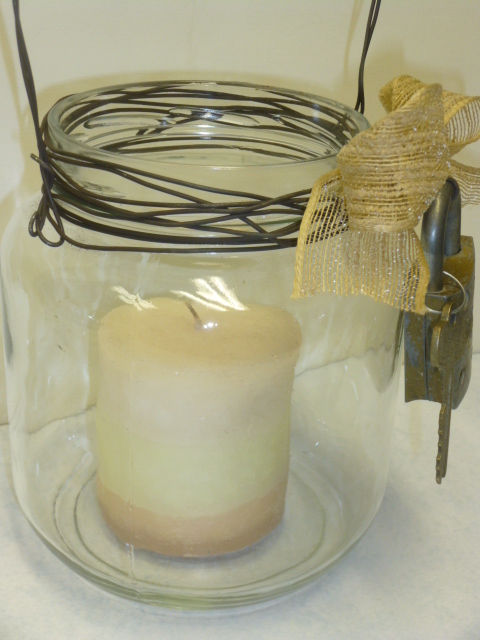 Your candle lantern turned out so well–great idea to go big!